My 16-month-old niece S is obsessed with music. She goes to a wonderful preschool where they must sing a ton of songs because when you start singing "The Itsy Bitsy Spider", it's like the sun just came out after a long winter. Even better if multiple people are singing the same songs together. She seems amazed that we all know HER songs and she loves anything she can dance or move to. S already has some favorites. Since her go-to song for a couple of months now has been The Itsy Bitsy Spider, I've already gotten her Annie Kubler's board book version and Richard Egielski's super cute pop-up version (for when she's a little older). 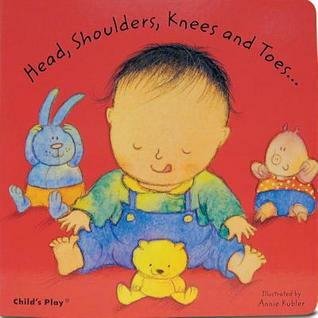 She also has most of Annie Kubler's song books, great choices for their simplicity and the diverse cast of illustrated babies featured in the books. She asks for these by name ("Row Row!" 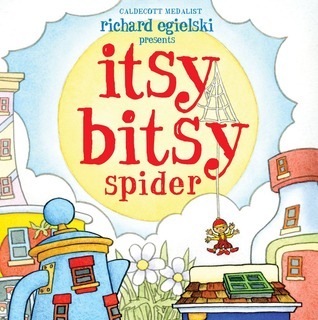 and "Itsy!"). She also loves "Head, Shoulders, Knees, and Toes" (although she concentrates mostly on the toes). These are sure bets for baby gifts or for storytime staples. For Christmas this year, there will be some new additions to her library! 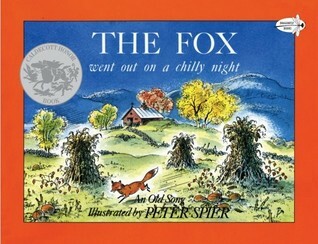 The Fox Went Out on a Chilly Night by Peter Spier (Dragonfly Books, 1961). This is a song that's important to my family; I have many pleasant memories of singing this traditional story-song with my parents in the car and they still will burst out with it when prompted. It's important to me to expose S to this music, but we're all a little rusty on the words. 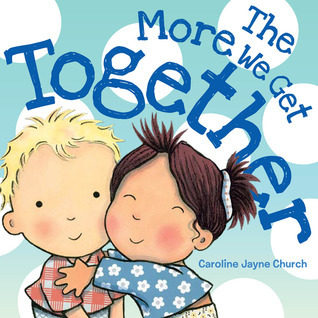 Buying this book for her library will help us remember to sing it with her and give us happy memories as we remember how fun the song is. She may be too little now to sit through all the verses, but with this book in our collections we can keep revisiting it any time we want. Do you have traditional songs that have been passed down in your family? If there's a book version, that makes a great gift. 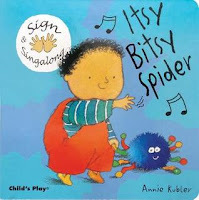 Not only do you get the fun of reading/singing it with the young ones in your life but it can help preserve the words, which may have become fuzzy since you were a kid! The More We Get Together by Caroline Jayne Church (Cartwheel Books, 2011). 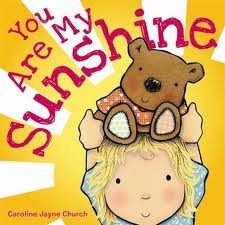 You Are My Sunshine (2011). 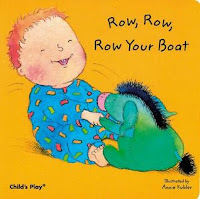 These board books are super cute, although they are woefully monochromatic. They feature shiny illustrations, which are pretty eye-catching and I love these songs that emphasize love and friendship. 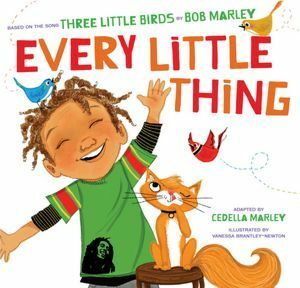 Every Little Thing by Bob Marley and Cedella Marley (Chronicle, 2012). 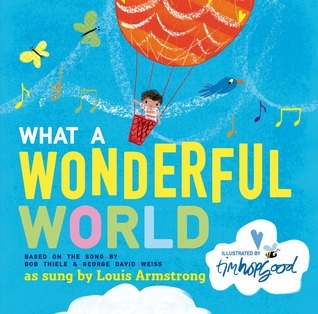 What a Wonderful World by Bob Thiele, George David Weiss, illustrated by Tim Hopgood (Holt, 2014). Based on popular songs, both these books send really positive messages without being didactic. I would love for my niece to internalize the messages that every little thing is gonna be alright and that we live in a wonderful, colorful world. Of course we're singing tons of nursery rhymes with her, but I wanted to expand her options of sung books and give her parents something a little different to choose if they want. It's going to be a musical Christmas at our house this year! What are your favorite books to sing?